1. Jesus gave us the bread and wine as the regular reminder of the gospel. The gospel is the good news that God the Father, Son, and Holy Spirit has established communion with humanity, forgiving us of our sins and drawing us into the dance of God’s life. 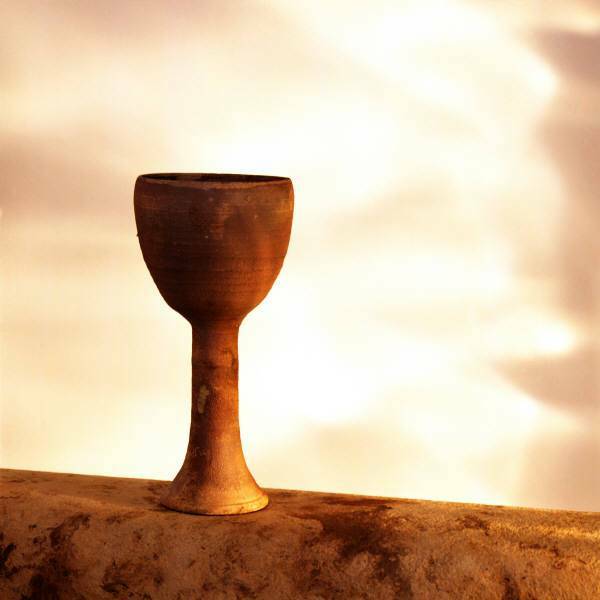 When Jesus took the bread and wine and said “this is my body and blood” he gave us an outward and visible sign of the gracious, but hidden, truth of our communion with God through Jesus. No other reminder of the gospel, such as sermons or songs, was given to us in the way that the bread and wine were given. 2. Jesus gave us the bread and wine as the means of thankful response to God’s grace. The grace of God is the gift of God’s own communion-life as Father, Son, and Holy Spirit. To such a magnificent and gracious gift we can only respond with thanksgiving. The bread and wine are often called the “Eucharist” because that is the Greek word for thanksgiving. Other forms of response to God’s grace – such as altar calls and sinners’ prayers – may have their place but they were not given to us by Jesus in the way that the bread and wine were given. 3. Jesus gave us the bread and wine so that we would have something tangible to take hold of. There’s a story about a small boy who was frightened of a thunder storm one night and jumped in bed with his parents. His Dad said “don’t you know that God will protect you?” and the boy replied, “yes, but sometimes I need someone with skin on.” Words, songs, prayers, and emotions are all real but intangible. The bread and wine give our bodies a much needed material and tangible encounter with the presence of God in our world. 4. Jesus gave us the bread and wine to remind us of himself and the story of his life on our behalf. St. Paul says that as often as we take the bread and wine “we proclaim the Lord’s death until he comes.” In the Eucharist we are encountering the past (the Lord’s death) and the future (his return) in the immediacy of the present moment. No other act of worship enables us to experience the life of Jesus in that way. 5. Celebrating communion every Sunday will make it more special, not less. Almost all churches have music, prayers, and sermons every Sunday and no one ever says “we should only have a sermon once a month” or “we should only pray once a quarter.” Only communion receives such treatment. And yet, Christians for 2,000 years testify to the fact that the more we receive Jesus’ body and blood in the bread and wine the more deeply we appreciate it and the more we are shaped into his image. The Noah story in Genesis starts with some disturbing words about the grief suffered by Yahweh as he experiences the reality of human brokenness. He is suffering pain at the hands of his creatures. His pain is real, but he finally decides to stay with the pain for the sake of staying with humanity. He is free to escape the situation, but he chooses instead to bear in his own soul the terrible contradiction between himself and his self-destructing creatures. This is the essence of forgiveness and reconciliation. Let’s say I have wronged you in some hurtful way. If you bear a grudge against me, it means you are choosing to hold on to the pain I have caused you, so that you might give that pain back to me at some later date. So you hold the pain close, letting it wound you over and over again (when you don’t really need to experience the wound more than once). Of course, you’ll discover this doesn’t work. Even if you get revenge on me and cause me pain, YOUR pain will still not go away. The only way for you to be freed from the pain is to let go of it, which means letting go of those possible futures in which you might get to dish it back to me. In other words, you need to forgive me, not for my sake, but for YOURS. Forgiveness doesn’t make it okay that I did what I did to you. What forgiveness does is set you free from being wounded any more than you already are. Now, you may well decide to forgive me but never talk to me again. It may be that I am a destructive force in your life, and you need to set up boundaries to protect yourself from future damage (This kind of forgiveness is often necessary in abusive relationships, for example). Reconciliation takes it a step further to seeking healing for the relationship. And it can happen if both of us are willing to reconcile. But if you want reconciliation but I don’t, then you have a problem. You either need to give up on your dreams of reconciliation, or you can choose to keep seeking reconciliation in the hopes that I will someday come around. It’s a choice to take a long and painful journey that may never pay off. This is what I see in Yahweh’s decision to not destroy the whole human race in the Flood. Not only is he forgiving, but he is choosing the bloody path of hoped-for reconciliation. It’s a path that will one day get himself killed by human hands. He shed his blood for the forgiveness of sins. I used to think this meant that the Father was feeling wrathful and therefore couldn’t extend the gift of forgiveness without first receiving a bucketful of blood, so Jesus gave him HIS blood, and then the Father felt appeased and agreed to give out forgiveness. But I don’t believe that anymore. Forgiveness/Reconciliation is part of the divine nature. God don’t make no junk, and God don’t hold no grudges, neither. To the Trinity, forgiving and seeking reconciliation is a “Well, DUH!” kind of decision. But forgiveness/reconciliation hurts. It comes at a cost. Yahweh’s choice to stick with humanity has HURT him. We see it in his grief in the Noah story, and we ultimately see it on the cross. On the cross, we see exactly how far Yahweh is willing to go to maintain his commitment to forgive us and seek reconciliation with us. His choice to forgive our sins means choosing to shed his blood. And he is perfectly okay with his decision. Does communion bring you assurance or anxiety? A lot depends on how communion is conducted by those leading it. Communion can be given in such a way as to baptize the souls of the congregation in assurance or in anxiety. The Holy Spirit is speaking assurance to peoples’ souls. He is assuring them of the communion they have with the Father in Jesus. If our celebration of communion speaks – by words and actions – of this same communion then we are in step with the Spirit and the souls of those who participate will be assured in their Father’s love for them. There are ways of taking communion that can contradict the Spirit’s work of assurance. The most common way that I have seen the Spirit contradicted in communion is by leaders who talk about our “responsibilities” with regard to communion. These speeches, as I have heard them, run the gamut from relatively short jabs to long diatribes. The themes range from lectures about “examining yourself” and being sure you are repentant to guilt trips about evangelism and saving people from hell. I understand where some pastors think they are getting this sort of thing (from 1 Cor. 11, for example) but the Bible was not written to contradict the person of Christ. If we find ourselves quoting the Bible and talking about ideas that contradict the absolute assurance of Jesus’ identity as the union of the Trinity and humanity then we are misusing the Bible. The assurance of communion is really quite simple. Communion is reassuring because it is all about who Jesus is and how he is totally for humanity, on our side, and sharing with us the communion of the Trinity. The Father, Son, and Holy Spirit are communion. In Jesus, humanity has now been included in that communion. The fact that Jesus is human – he is flesh (bread) and blood (wine) – is our assurance that we are liked, love, and accepted into the life of the Trinity.